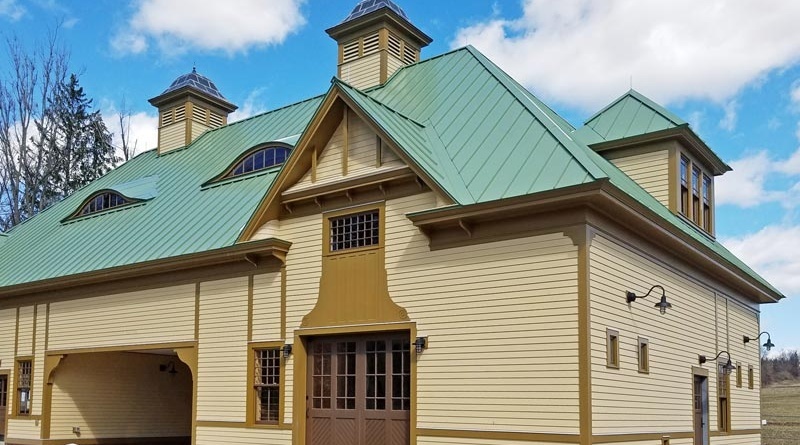 Parrett was honored to be a part of the reconstruction of this Queen Anne style horse barn which was originally built in 1894. This barn had sat unoccupied for several years but is now located north of the UMass campus at the Wysocki Field, on the east side of North Pleasant Street. 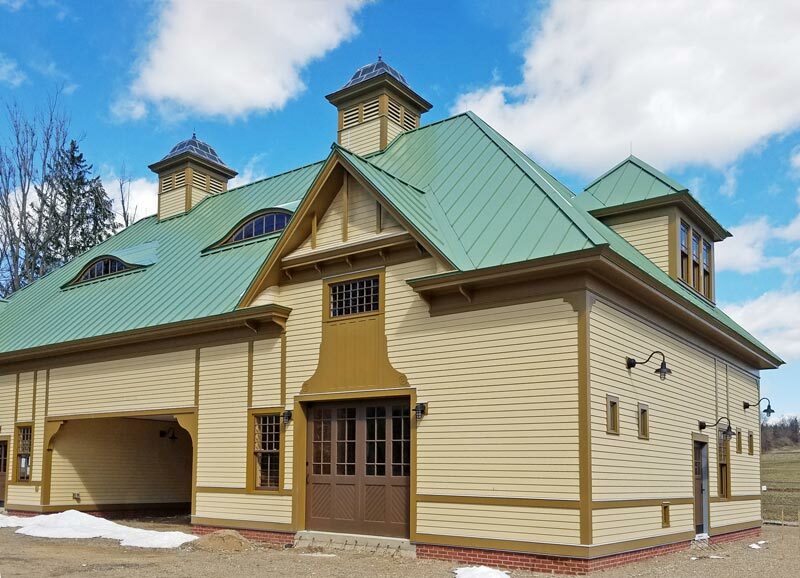 Dietz & Company Architects, Inc. specified Parrett’s window units in a desire to maintain the historical authenticity of the horse barn. Marois Construction, the general contractor on this project, took extreme care during the demolition of the barn so that the wood frame structure could be carefully catalogued and recorded so that the original lumber could later be salvaged to use in the reconstruction. Now this barn has found a new purpose as part of the Stockbridge School of Agriculture’s Agricultural Learning Center where it houses the equipment required to wash and pack the approximate 75,000 pounds of produce produced by the student farmers each year. The intention to retain the historical aesthetics of this building resulted in old horse stalls being repurposed as both work and storage spaces. The historically replicated windows and doors are a major focal point of the reconstructed barn. Now this barn has found a new purpose as part of the Stockbridge School of Agriculture’s Agricultural Learning Center where it houses the equipment required to wash and pack the approximate 75,000 pounds of produce produced by the student farmers each year. The intention to retain the historical aesthetics of this building resulted in old horse stalls being repurposed as both work and storage spaces. The historically replicated windows and doors are a major focal point of the reconstructed barn. Parrett provided all-wood spiral balance double hung, fixed sash set rectangle, and napoleon (eyebrow) windows for this project. All units were constructed of specially treated pine lumber with a high-grade exterior factory painted finish in a color matching paint chips from the original barn windows. All windows were specified with a 5.5” flat casing that was applied by Parrett as well as a custom 7” subsill. Other specifications included 1/4” clear tempered glass along with 7/8” wide SDL bars. The hung windows were each outfitted with high-performing lacquered brass hardware that consisted of (2) locks, (2) lifts, and ventilation secure locks which ensured that accidental falls could not occur by restricting the opening range of the units. These historically authentic windows will remain durable for years and years to come.